One of those times where a thing that I wanted to exist didn’t seem to, so I made it. I’ve been a fan of the horror and weird fiction of H.P. Lovecraft for many years – although I’m more of a fan of the Lovecraftian aesthetic rather than the man himself. Anyway, one of his most enduring creations is that of CTHULHU, the Great Old One, a gigantic and powerful entity who lies dormant under the oceans. 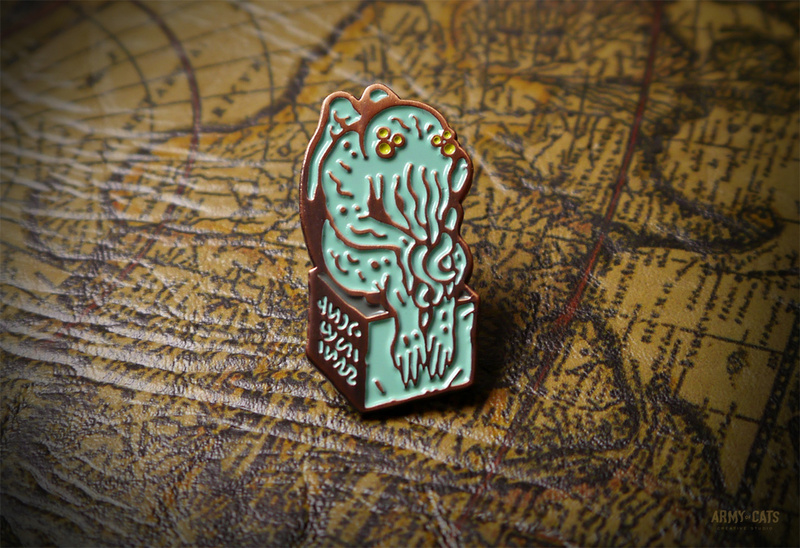 There are countless badges and bits of merch featuring this particular creature but not really any that seem to appropriately nod to the original sketches made by Lovecraft himself. So here we go. 35mm high and plated with a pleasing antique copper finish. I also chucked the design on some vinyl stickers. Fellow fan of the weird and the strange? 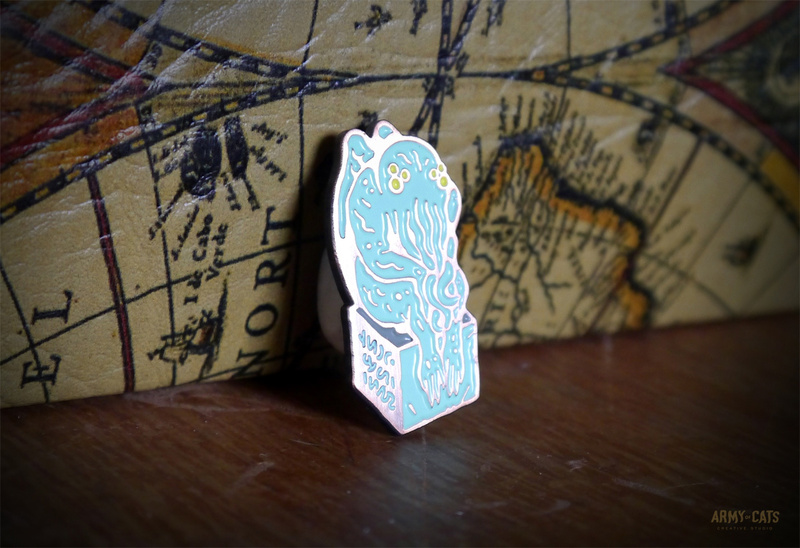 You can totally buy one of these to pin to your robes.